HomeNasal CongestionWhat Can You Do About Sinus Pressure? Have you ever felt like your head was so full that it was going to explode? Many people suffer from the discomfort caused by nasal congestion and the sinus pressure that can be the result. What causes it and what can you do about it? You can sometimes determine the cause of the sinus pressure based on the color of the mucus discharge (snot). This will help a doctor determine the type of treatment needed to effectively relieve your condition. 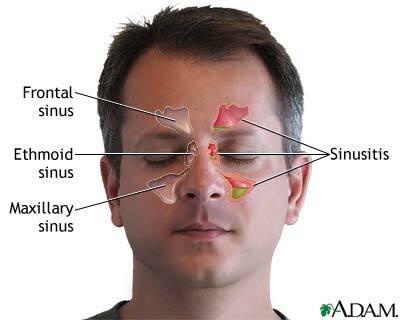 What are the Symptoms of Sinus Pressure? It’s easy to see why you have the symptoms you have with nasal congestion, when you look at its definition. Nasal congestion is the blockage of the nasal passages due to swelling of the nasal and sinus membranes. 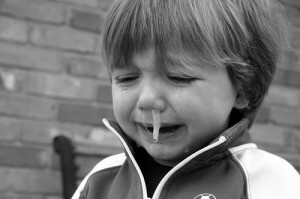 Many people think it’s just too much mucus (snot) production, but it’s the inflammation that creates the mucus effect. Not everyone gets every symptom, but for some the discomfort caused by sinus pressure can be quite severe, and the treatment can’t come fast enough. How Can I Treat Nasal Pressure? There are many ways to relieve sinus pressure. Choosing which one is right for you is something that you will have to consult with your physician on. Also you might need to use a combination of treatments to effectively relieve your symptoms. At some point your sinus pressure may increase to the level where you need medication. As always consult with you doctor before beginning any new medication. There are two major types of medication used to treat Sinusitis (inflammation of the sinus cavities.) There are a multitude of brands within each group. There are more powerful medications available, but not without a prescription. If you try some of the home remedies to get relief from sinus pressure and they persist, see your doctor. As special note here about new born babies and sinus infections. All babies breathe through their nose. When they breast feed, their mouth is occupied with feeding and they rely on their nose to breathe. If they have nasal congestion and sinus pressure, then they effectively have no way to breathe. This can become a serious situation, and if you have a new born baby that shows signs of nasal congestion see your pediatrician immediately. When should Sinus Pressure send You to the Doctor? There are times when you or your children may need to see a doctor to clear up a sinus infection. Usually nasal and sinus congestion is not a big problem. You experience symptoms and feel bad for several days, but then it goes away. If it doesn’t go away or is accompanied with some of the conditions above, it may be an indication of bigger problems. There are several things you can do about sinus pressure, including eating Flamin’ Hot Cheetos (it works, try it.) Whether a home remedy or medication, you can be free of the sometimes painful symptoms associated with nasal congestion. 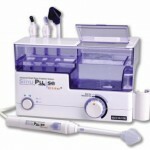 So don’t suffer needlessly from sinus pressure, start treating it today. Which is not a cause of Sinus Congestion? True or False: Sudafed is an Antihistamine. What are the Types of Sinus Surgery? What can I do About this Runny Nose? What is a Neti Pot and Why do You Need One? What are the Different Types of Nasal Spray? 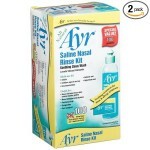 Benadryl, Claritin, Zyrtec, Allegra are the best medicines which can help reduce the sinus pressure. A doctor must be consulted in extreme cases. 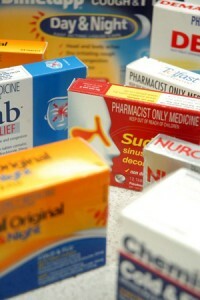 Most people will have to try the different medications to relieve sinus pressure, and see which works best for them. Thanks for sharing Snape. I’m very glad Cheetos don’t cause nasal congestion, but am sorry they don’t help either. I like them! lol I struggle with painful sinus pressure every summer when my allergies hit. I use a combination of Vitamin C and over-the-counter nasal decongestants. OK Cmarten, you caught me! I just love Flamin’ Hot Cheetohs and will use any excuse to eat them. On the other hand, sinus pain is a serious issue, and I appreciate your sharing the things that you have found success with. It may well help someone else. Thanks again.